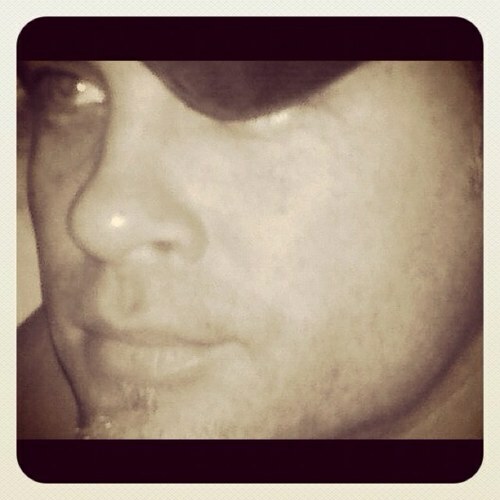 @sullybaseball Now Jimmy Rollins? 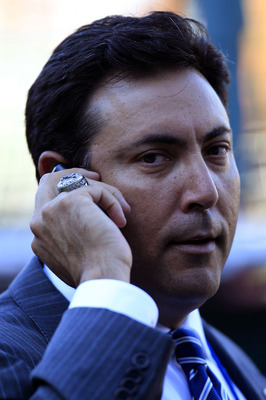 What do the Phillies have to do? Rebuild from ground up? New management? New ownership? What say you? 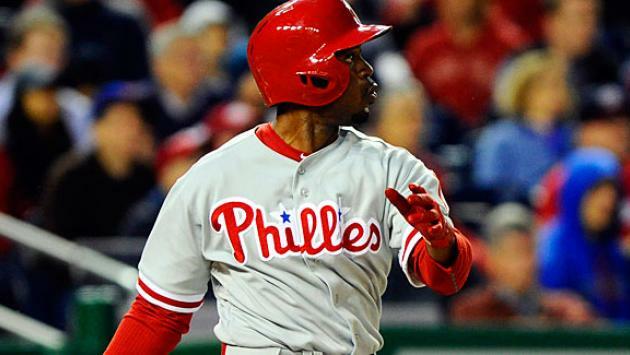 The Phillies had a lot of work to do and they aren’t doing it right so far! They need to make a major change right now. And somehow I tied it into the movie Enchanted. Not a lot of brotherly love on today’s episode of The Sully Baseball Daily Podcast. 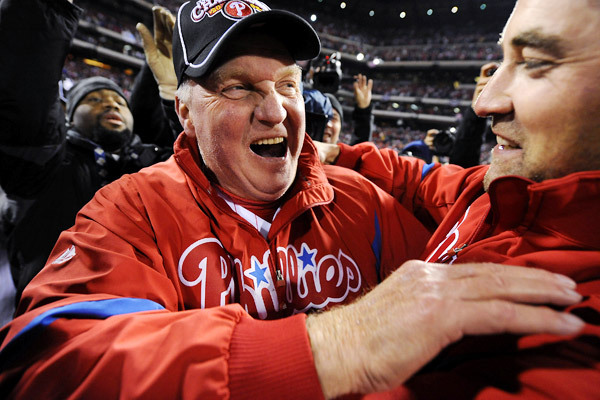 @sullybaseball What are your thoughts on the Phillies firing Charlie Manuel? 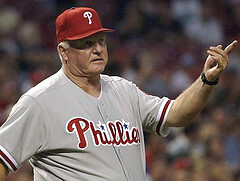 Charlie Manuel is out. Ryne Sandberg is in. 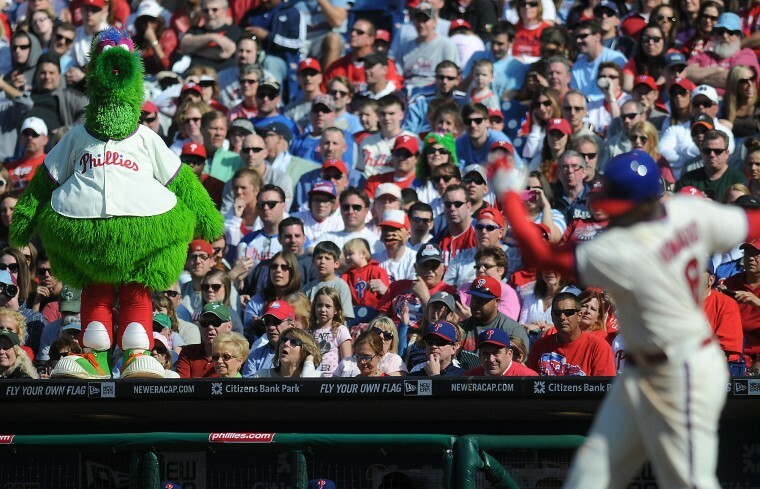 And the sports culture of Philadelphia has changed. I wrote about this topic on the blog HERE. Clayon Kershaw, Miguel Cabrera, Martin Prado and John Lackey all owned baseball on August 17, 2013. 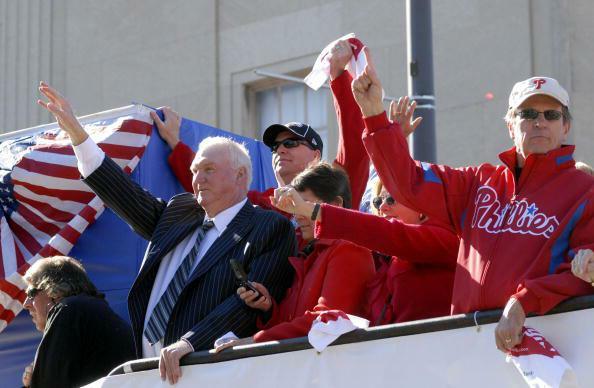 It took the Philles 77 years to win their first World Series in 1980, however since that time, they have been to 4 more World Series in 1983, 1993, 2008 and 2009 – while taking home the Trophy in 2008. The Phillies have finished .500+ or better for every year since 2002. However 2012 saw their streak of 5 straight NL East Division Titles come to an end. 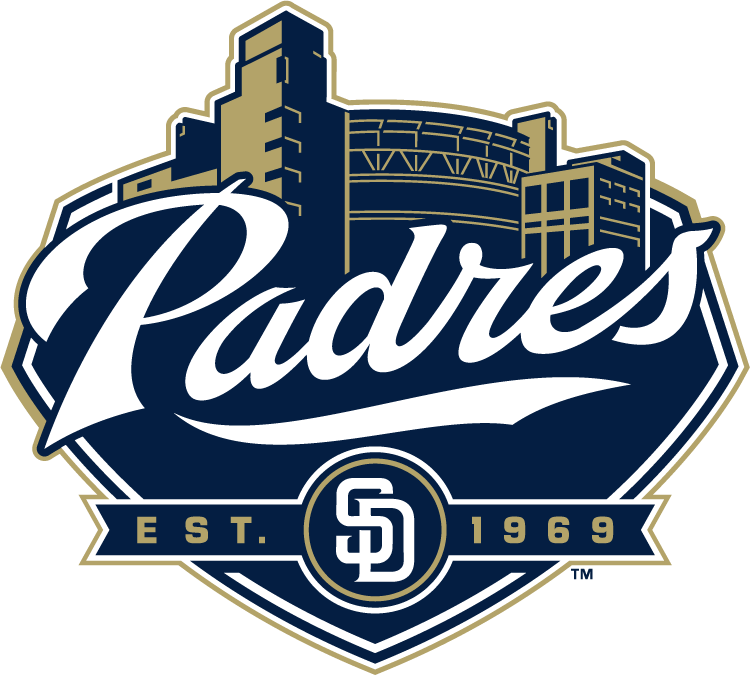 Now that they have started slow at 33 – 36 – can they come back to make the playoffs and a have a shot at a World Series in 2013? 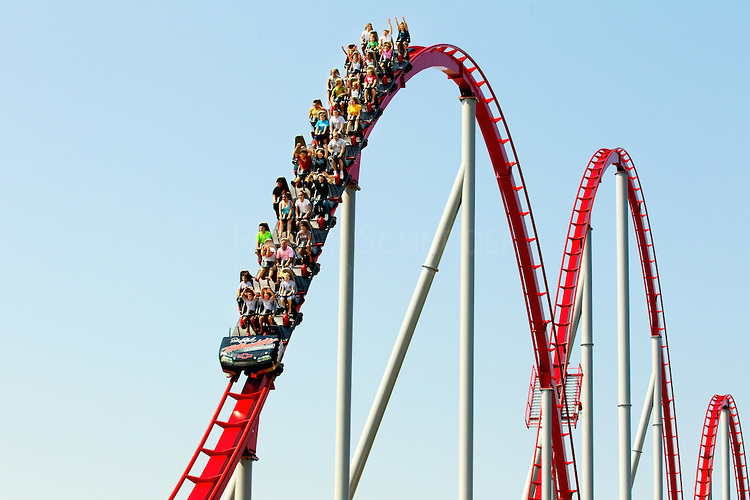 I hate roller coasters. I really do. Can’t ride them and won’t miss them if they ever went away. Maybe it’s the lack of control or just too many movies I’ve seen where the ride goes straight through the railing when it’s supposed to turn. Either way, I’m happy to hold your purses, jackets, hats and any other items while sitting on a bench planted firmly on the ground. Go ahead and enjoy the ride while I take inventory of all the other manly things I can do in this world. 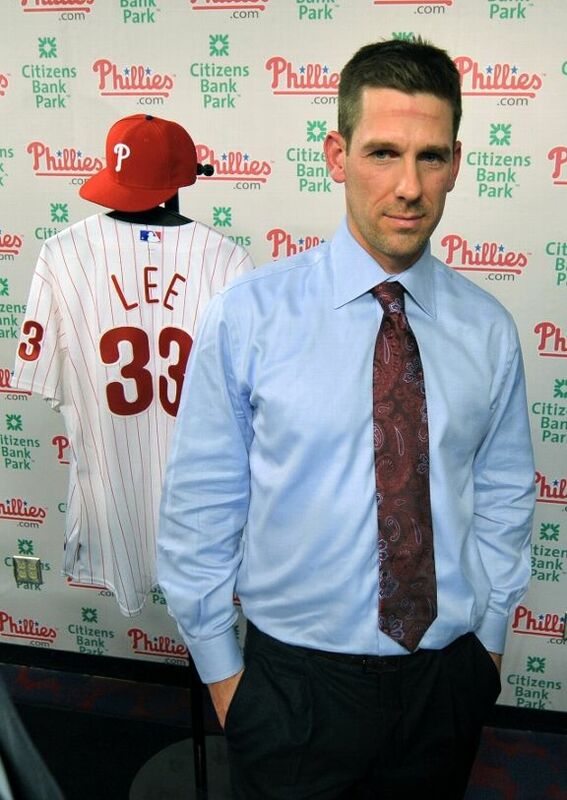 Enter the 2013 Philadelphia Phillies. Lately, I get that same, uneasy feeling watching our fightin’ Phils rise and fall as they bring us all from agony to ecstasy, mostly in streaky stretches leaving us to believe they’re anything from world-beaters to bottom-feeders. Yet, here I sit again, watching the ride go up and down day in, day out while I cling on to what the team leaves me to hold: hope. 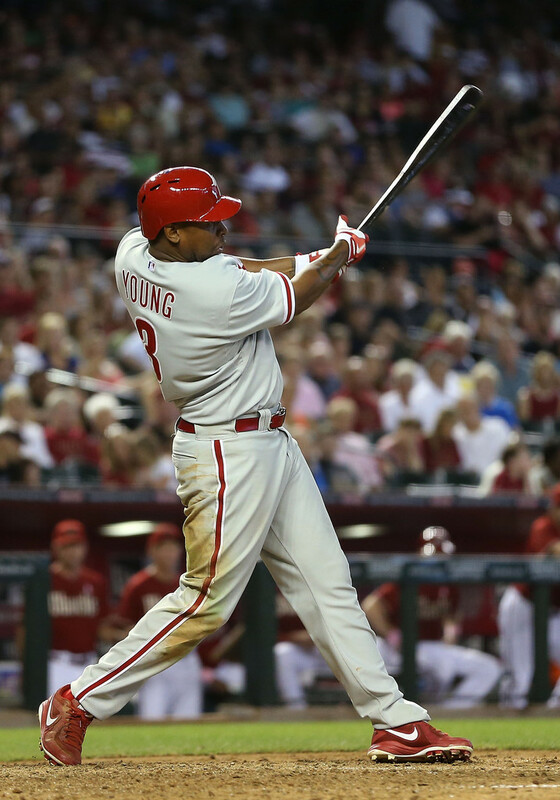 The Delmon Young Effect Is Crippling The Phils Lineup: Does it Need To Be Eradicated? Delmon Young has not exactly lit it up for the Phillies this campaign – hitting .208/.286/.619 and just 1 HR, plus 4 RBI in 48 AB. Despite this abysmal start, Delmon Young is still going to hit 5th Today? Really? Charlie Manuel is, if not anything else, loyal to his players and his gut-feelings when it comes to filling out the Phillies lineup card every day. If it’s his dedication to Jimmy Rollins batting lead-off over the years or leaving Cliff Lee in for 120+ pitches when he might be cooked, he certainly honors a hunch for better or worse. So it should come to no surprise there exists a strong belief in his mind that Delmon Young is the right-handed bat to protect Ryan Howard in the five-spot. While maybe later this season that could eventually be true, the Delmon Young Effect has been plaguing the lineup over the past month after his return from an ankle injury. 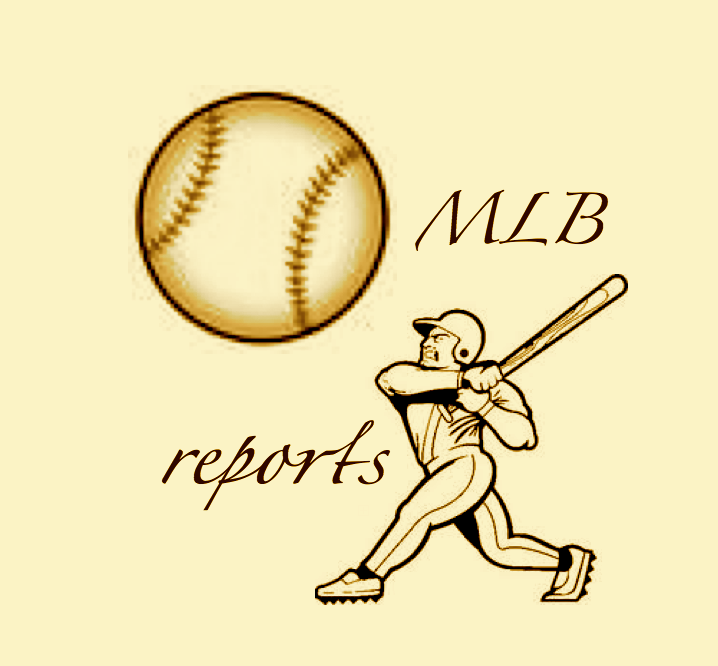 Any batter entering into the MLB season a month late due to injury–and slightly out-of-shapedness–is going to play a little catch-up baseball at the plate and Young is certainly not an exception to the rule. 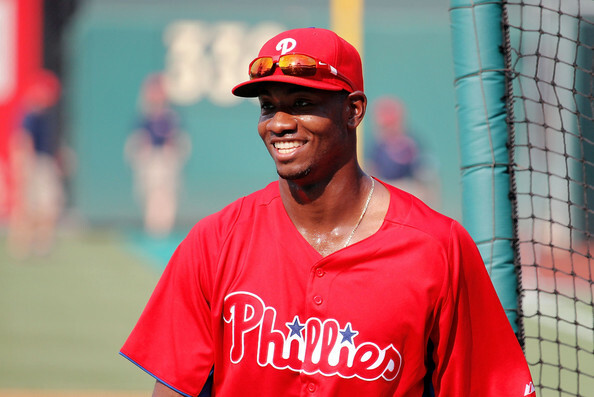 Sam Evans: Only a couple of years ago, Domonic Brown was one of the top five prospects in all of baseball. His combination of tools and outstanding production made him appear to be primed to become a superstar. However, things haven’t gone as planned. 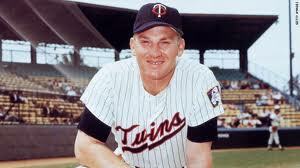 Brown never got a full-season in the majors, and his numbers in the minors started to drop. Now in 2012, with Hunter Pence and Shane Victorino no longer in Philadelphia, Brown needs to prove he can produce at the major league level.